Welcome to Hair loss Experiences hair loss forum. Free impartial hair loss advice, hair transplant advice, hair loss medications and hair loss news. You can contact us directly at [email protected] if you experience any problems. Platelet Rich Plasma has been used in wound healing in various medical fields for some years. Dr Christian Bisanga believes PRP may have significant benefits in hair transplantation field for the patient. Potentially PRP can benefit the two important aspects of hair transplant, the donor and the recipient area healing and improvements in skin and hair physiology post operation. The approximate consistency of platelets in 1 cubic cm of blood is 250,000 and when concentrated with PRP can increase to 1 million, 4 times the concentration. The platelets contain the "healing" tools that are released when a wound is made. Due to the concentrated nature of PRP and the fact it can be used in specific isolated areas the platelets can react faster to the area, improving coagulation, reduce bleeding and with less fibrosis and collagen manufacture. The conclusion not just a speedier healing process but improved healing of the skin tissue reducing the signs scarring with improved healing characters. 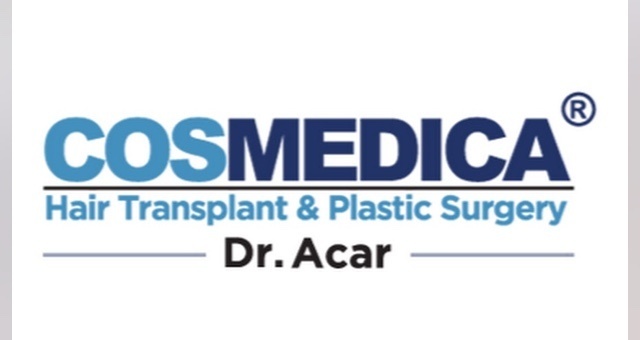 The platelets are rich in proteins and may aid the healing in the recipient placement sites for the new grafts to rest in and the donor healing of either the linear scar with Strip surgery or punch scarring with FUE surgery. The proteins growth factors should show an increase in speed of the healing, stimulating the formation of vessels so helping the follicle to bond with the site faster and with the tissue and cardio vascular system. The fibrotic inducing proteins will enhance the conversion of fibrinogen into fibrin but in a lesser amount than naturally. This conclusion can mean a scar of visibly less size, improved laxity, less separation and angle change between follicular units, reduced miniaturisation and less collagen production between the fatty tissue and dermis layer. The process of isolating the platelets from the blood requires taking a sample of blood from the patient. The blood is "spun" (centrifugation) at specific speeds isolating the plasma. The plasma is separated further leaving the poor and rich plasma. [font=""]The two important factors are PDGF & TGF-Î². PDGF or platelet-derived growth factors stimulates cell replication of important stem cells for fibroblasts and endothelial cells (increasing "budding" on new capillaries),stimulates production of fibronectin, a cell adhesion molecule, and helps bring our wound contraction and remodelling. TGF-Î² stimulates fibroblasts chemotaxis and the production of collagen, while inhibiting collagen degradation by decreasing proteases and increasing protease inhibitors, all of which favour fibrogenisis. Each growth factor has the capacity to induce a unique response in the enhancement of healing; PDGF accelerated wound closure markedly through augmenting connective tissue matrix deposition and TGF-Î² stimulated new collagen deposition and maturation into larger bundles on the leading edge of the wound, with the likely effect of by-passing some of the inflammatory phase of wound healing. Testing is already underway on various types of wounds; a small initial test of punch donor healing on an FUE donor has shown palpable signs of speedier healing. Dr. Chris Bisanga wants to install correct protocols to deliver the best results for the patient. This will take time to test variants in scar closure and wound healing and other possible handling. Dr. Bisanga feels he has found medical benefits to this application but at present it will only be applied on test cases. The potential benefits to hair transplant go much further than faster and improved wound healing, this can then affect the entire hair transplant basics of donor management and potentially placement within miniaturised hair to name just two possibilities. Donor healing properties can improve the prospect for future procedures, maybe able to extend the hair numbers able to be extracted, decrease miniaturisation and improved laxity. When Dr. Bisanga feels that he can see defining benefits he will be offering PRP to his patients as an established treatment to his patients. Its good to hear that Dr Bisanga is approaching this with caution and doing test cases first to establish the benefits. Hopefully we will see some very well documented individual patient studies with lots of before,during and after treatment pictures. Thanks for sharing this information with us.I`m looking forward to your findings. Perhaps Uk_18 would be suitable as a test patient. That's if he was willing to make the trip to Brussels. It would probably do him more good than a transplant. It appears there is nothing to lose but only to gain. no, prp is alsow for minimised and weak dying hairs, so they can recover and get back to normal strength fuller thicker hair. When you loose youre hair its a minimisation cirkle that goes for many years where they get smaller shorter and thinner until you cant see them they are so smal they are under youre scal..(hiding in the skin you could say ) and prp could help alot of week hairs that are about to die out..
Is this injected into your scalp? Be interesting seeing the results. I think there are lots of clinics waiting to see just how much PRP plays into the healing of scars and regrowth of miniturized hairs. Will be great of you to share your findings. Thanks. Dr. B is not specifically testing for hair purposes although it will probably be a knock on effect. He wants to concentrate on other potential effects, it will take some time and this month he has been able to test 5 patients for different aspects of PRP, potentially beneficial to hair transplantation. how much time will it take before dr bisanga knows if it has been a success.if it is succsessful will it remain free or will the cost be added into the overall pricing structure. The time really depends on what aspects we are testing for and the response time as well as the actual wait time before a valid decision can be made. Already Dr B could say he seen that PRP can benefit in some wound healing areas, it is just to be decided on the best application. Well it obviously costs to administer and due to the nature some aspects have to be used just the once. As far as costs as much as I know it has not been discussed yet because it's hard to value something if its not proven to give a tangible benefit for many users. Well, we are pleased to announce that over the last few months progress has been made. 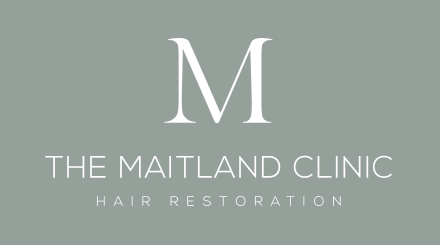 As far as regrowth or sustained hair growth we cannot make a comment for the positive but other aspects have certainly shown to improve patient well being. Donor site healing is one factor that as yet no one has explored and Dr. Bisanga felt it may be used. Although early in terms of long term healing we can say that it provided significant improvements on non PRP patients in the first 5 days post op. Other applications will take longer but signs are very encouraging that if results improve we could expect to announce a major development in harvesting grafts. Thanks Stephen,late reply by me but i`m looking forward to seeing and hearing more positive stuff from BHR concerning PRP. Dr. Bisanga has finished his first phase of trials with PRP, he is pleased with many aspects of the tests, donor and recipient. He believes used in the correct circumstances PRP can aid the recovery in the recipient and donor, especially so far seen with FUE. Certainly tests in the FUE donor healing have shown significant improvements in extraction point closure and speed of recovery. This can have benefits for FUE donor harvesting and management not just for that procedure but future procedures. In the recipient we have seen improvements in healing speed and growth rates, yield no difference as we have a high yield ratio anyway, but certainly in the majority of tests so far the regrowth speed improved. There is also positive signs that miniaturised native hair in the recipient area and donor for that matter, especially surrounding the area of the HT have shown signs of improvement in the calibre and strength. Dr. Bisanga intends to continue the trials over the next 3 months, predominately with FUE patients free of charge to increase the research and potential for the treatment. Great news Stephen,have you any documented pictures to illustrate the healing properties that PRP has had on your patients. Thanks Stephen,will look forward to them.